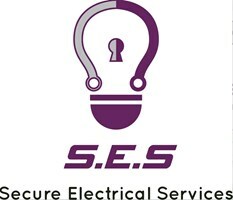 Based in Wickford, Essex, Secure Electrical Services provide an efficient and reliable solution for a wide range of electrical, CCTV, house alarm and security light installation, and locksmith repair and maintenance issues. From brand new systems to electrical fault finding, small scale domestic repairs, review of internal and external security arrangements to lock repair/replacement needs, competitive rates are offered for a full range of services alongside NICEIC registered electrical testing, building control certificates and full condition reports. Emergency callout services are also available, so please don't hesitate to call at any time. Secure Electrical Services fit and recommend 3 Star *** Brisant Ultion Anti-Snap Locks, which are Police and Insurance approved, anti-snap, snap secure, anti-drill, anti-pick and anti-bump. We are happy to provide advice, recommendations and on-the-spot installation services, and aim to provide a fast and efficient non-destructive access service minimising damage to the door and/or frame wherever possible, giving you the right result with minimal fuss or additional cost. We are equipped to undertake work on UPVC, aluminium, wooden and composite doors, and in addition to gaining entry, locks can be repaired or replaced. Contact us by phone or email for your electrical, CCTV and house alarm security installation, small-scale repair and maintenance or locksmith needs.